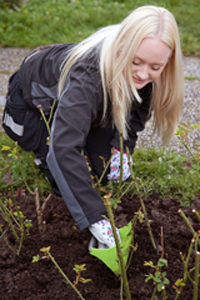 The ergonomic spade which spares your wrists.The only multitool you need for your garden.Use as a Scoop to move compost from bag to plant pot/flowerbed. Loosen, improve and even out the soil. 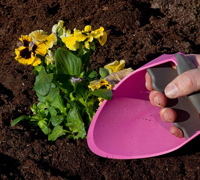 Perfect planting tool for: seedlings/vegetables Container Gardening. Perfect for the balcony grower.